"When I was little I would think of ways to kill my daddy. I would figure out this or that way and run it down through my head until it got easy." So begins the tale of Ellen Foster, the brave and engaging heroine of Kay Gibbons's first novel, which won the Sue Kaufman Prize from the American Academy of Institute of Arts and Letters. 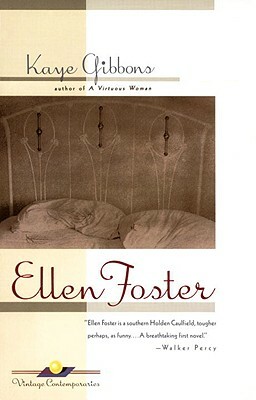 Wise, funny, affectionate, and true, Ellen Foster is, as Walker Percy called it, "The real thing. Which is to say, a lovely, sometimes heartwrenching novel. . . . Ellen Foster] is as much a part of the backwoods South as a Faulkner character--and a good deal more endearing."